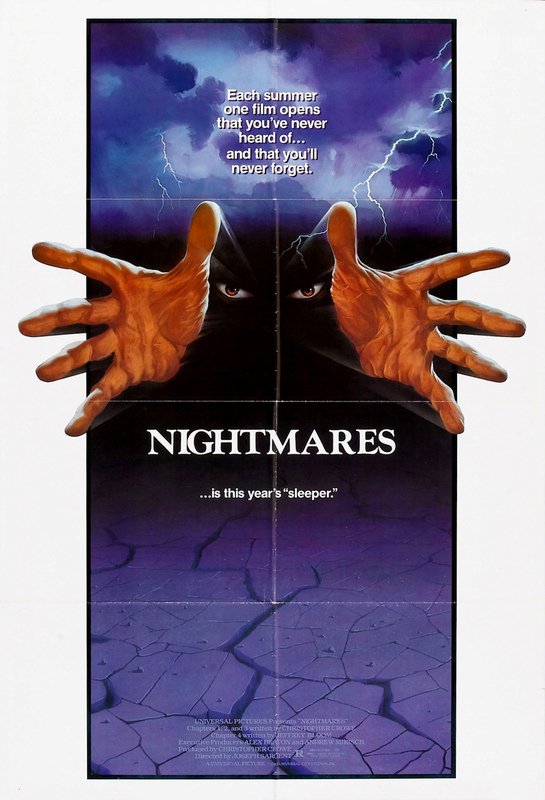 Nightmares is comprised of four tales of a sinister nature. The tales involve similar situations in that, in each, a person is threatened by a powerful yet unseen force intent on doing the person harm. In the first case, the evil force threatening a woman is in her own imagination, yet is just as frightening as as the inanimate object in the second tale of horror, a video game that comes to life seeking revenge. The third tale's sinister force is a malevolent pick-up truck from hell that stalks a fallen priest through the desert, and in the fourth and final part, evil takes the form of a giant rat that terrorizes a suburban family.